If you are a UC San Diego employee, you must apply for a Social Security Number (SSN). We recommend that you wait 10 business days after entering the United States and 5 business days after completing the registration process at the International Faculty & Scholars Office (IFSO) to apply for a Social Security Number. J-1 scholars in the Research Scholar, Short-term Scholar, and Professor categories are eligible to apply for a SSN; J-1 Student Interns are only eligible if they are being paid by UCSD. J-2 dependents: qualify only when they apply for J-2 Employment. J-2 dependents can apply for work authorization and a social security number at the same time. Upon applying for a social security card, a receipt will be issued. Usually, the card will be mailed in approximately three weeks. For additional information, visit the Social Security Administration’s website: Documents needed – select “noncitizen” on the left-hand side. Remember that you are not a “student” for U.S. immigration purposes. Please note that not all social security offices provide the same services. 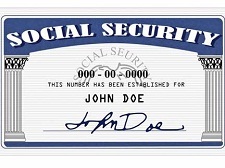 The nearest Social Security Card Center is downtown San Diego at 109 West Ash St., San Diego, CA 92101. It is open Monday through Friday from 9:00am through 3:30pm. To check on opening hours and other offices and services, visit their website or call (800) 772-1213. For bus routes to these offices visit http://transit.511sd.com, or visit UC San Diego’s Transportation and Parking Services website. 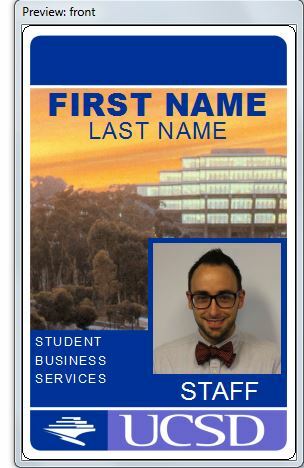 To obtain a UC San Diego ID card, ask your department for assistance. The administrator needs to complete and authorize the Campus Card Request Form. Take the completed form and go to the Student Services Center, 3rd floor, suite 354A. If you are responsible for the fee, it must be paid at the Central Cashier’s Office located on the 1st floor of the Student Services Center. Family members - spouses are eligible only if the principal is a paid UC San Diego employee. 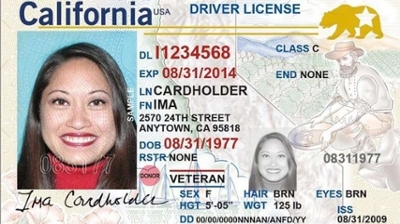 The State of California’s Department of Motor Vehicles (DMV) does not recognize international drivers’ licenses. The State of California, however, does recognize your national driver license as long as it is valid and translated to English. We recommend that you get a California driver’s license if you are in California over 2 months. Keep in mind that automobile insurance is required by law in the United States. Most insurance companies require a valid California driver’s license. The DMV requires a written test and a road test. No appointment is necessary for the written test, but an appointment and a car are required for the road test. Scholars in J-1, H-1B, TN, and O-1 statuses must have a social security number in order to apply for a license. Dependents must either show proof of ineligibility for a Social Security Number by getting a denial letter from the Social Security Administration or apply for a number, if eligible, prior to applying for a license. Temporary permits can be renewed until the card is received. For DMV locations or more information visit the DMV website. Please Note: The DMV is often crowded, so allow ample time to complete the process. There are driving schools in San Diego; search the Internet with the search term “Driving Schools San Diego". The DMV will issue a non-driver’s identification (ID) card. This is a very convenient form of identification, since a passport is not always recognized for local transactions such as cashing checks or admission to an establishment where alcohol is served. The same documents are needed as if applying for a driver’s license and USCIS will have to confirm I-94 status in the United States. A temporary identification card will be issued but it will not have a photograph.